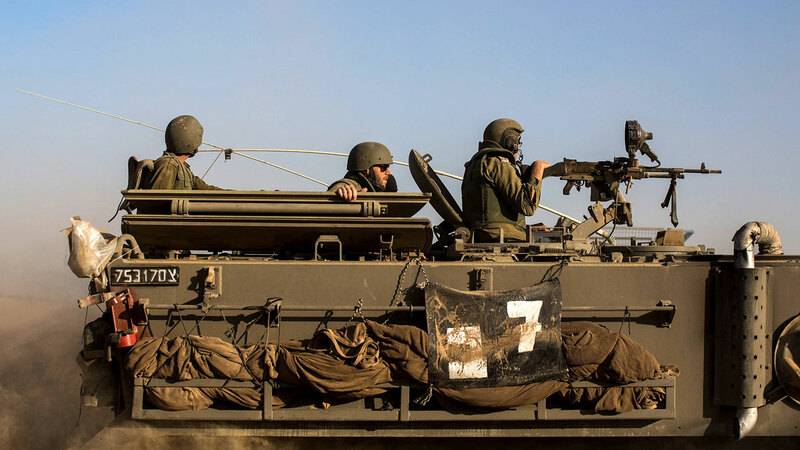 An Israeli tank fired a warning shot Sunday for the second time in 24 hours at a Syrian army post in a buffer zone on the Golan Heights, the army said. Although the post was on the Syrian-controlled side of the strategic plateau it was undergoing construction work forbidden by a separation of forces agreement between the sides, a military statement said. It said Syria’s armed forces “violated the 1974 ceasefire agreement by conducting construction work in order to strengthen a military post in the northern part of the demilitarised zone”. “The agreement prohibits the entry of heavy construction tools or military vehicles into the demilitarised zone,” it said, without giving the precise location of the incident. On Saturday a tank also fired a warning shot, and the army issued an almost identical statement. But it also said it had filed a complaint with the UN Disengagement Observer Force (UNDOF) which monitors the line between the Syrian and Israeli-held sectors. Israeli media said Saturday’s tank fire hit near the Syrian government-controlled Druze village of Hader, which was targeted by rebel forces two weeks ago. The attack on Hader, which began with a suicide bomber blowing up a car and killing nine people, raised concern among Golan Druze over the fate of their co-religionists at the hands of Sunni extremists of the Hayat Tahrir al-Sham group. It also prompted the Israeli army to issue a rare statement pledging to “prevent Hader from being harmed or occupied”.